Custom Stone Interiors is a highly unusual fabrication shop in that the business owners are both degreed engineers with over 30 years of engineering and manufacturing management experience. Prior to starting up the fabrication business both owners were intimately involved in the design and manufacture of stone working machinery used in countertop fabrication. CSI has three primary goals that have been the foundation of our successful business since our 1st day of operation: “Best attainable” quality. This mandated the purchase of almost a quarter of a million dollars of equipment. The machined perfection possible with top of the line automated machinery is simply unattainable by hand. Personal and professional customer service. This goal has resulted in a process where we provide a 24 hour turn around on quotes and give our customers unparalleled support in the selection of their stone, sinks, and finishing details. 8 working days from field measure to install. CSI utilizes a manufacturing management approach called QRM (Quick Response Manufacturing). This approach allows CSI to consistently deliver superior quality in substantially less time than is typical. CSI is unique among area shops in that we do virtually no freehand work. Our sink cutouts, arcs, radiused corners, and straight edges are free of the ripples, flat spots, humps, and divots normal for work produced freehand or on inferior machinery. 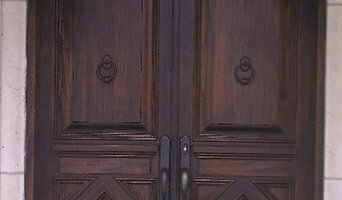 The difference in the appearance of the finished edge is apparent even to someone unfamiliar with granite fabrication. Perkins Lumber is a locally owned and operated full-line building/material retailer founded in Willmar in 1938. Perkins has two outlets, the main location in Willmar and a location on HWY 23 in Spicer, MN. 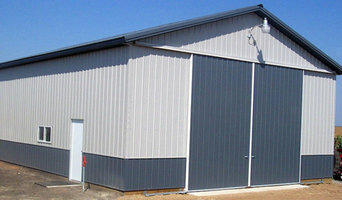 Perkins also operates a post frame construction division specializing in the design and erection of Agricultural and light commercial buildings. Perkins partnered with Do it Best in 1988 and enjoys the tremendous buying power of this nearly 5,000 dealer co-op! Perkins also opened their Interiors by Perkins business in 2005. 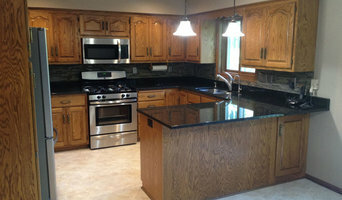 Specializing in Countertops, Custom Cabinetry, Flooring and Shelving. *Authorized Andersen Dealer* Steiner Lumber Company, Inc. is a building-materials supplier and Do-It Best retail center providing the quality lumber, trusted hardware and experienced repair services you need to meet all of your retail building demands. Since 1912, for 101 plus years, we have been providing the best in local lumber services throughout Sauk Centre and Central Minnesota. Our family owned business operates with more than 125 years of combined experience amongst our staff – with that much insight and knowledge you can be assured that we can find a solution for whatever your contracting, remodeling or do-it-yourself needs may be. Backed by Do-It Best, a leading recognized name in the construction industry, enables us to provide you with a vast array of tried and tested products. We strive to serve all of your construction product, service and advice needs while making your dollar go further than expected. Stop in today and let us help you get your next home improvement project underway. Retail building supply that sells millwork, doors, windows, hardware and siding to builders and remodelers in the Minneapolis/St. Paul metro area. Twin City Building Supply remains a growing business that provides quality services, safely and responsibly. From detailed specification and proposals to superior post-projects support, Twin City Building Supply is the clear choice for your next building project. At Twin City Building Supply we provide our customers with quality materials for their specific projects.• Windows, interior doors, exterior doors, custom millwork and other building materials are some of the things we provide for our customers. We offer Ponderosa Pine Tongue and Groove Products. Everything from cabin grade material to high end roughed and colored wood resembling barn wood. Knotty Pine, Barn Wood, Barnwood, Ship Lap, Distressed Wood, Nickel Gap. We are Made in Minnesota wood craftsmen. We combine beautiful wood with experienced craftsmen, resulting in truly customized woodwork. For over 25 years, Glacial Wood has been the actual manufacturer of turned wood and squared parts for projects and customers large and small, domestic and international. Our work begins when we’ve identified our customers’ needs. Only then do we begin our craft. wRight Lumber and Millwork, Inc. is a family owned and operated business. We pride ourselves on giving the best service in the industry. Our staff will help you with any size project. We offer design services, estimating, contracting, lumber, windows, decks, siding, doors and trim, cabinets, paint, and landscape products. We offer our customers a one stop shopping experience. Let us handle and take the stress out of your project. Once your project is completed we don’t just go away. We will always be available to handle any warranty issues that may arise. We want our customers to feel like family. We will be there when you need us. wRight Lumber is a fully licenced Building Contractor. We either help you find the right contractor or we offer it installed through us. People tend to like the one stop shopping experience and can feel confident that we will be there down the road. 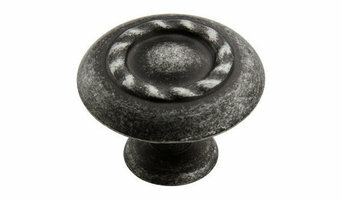 Check out our links to find the products your looking for, and stop by our showroom. We look forward to meeting you! We are a fifth generation family owned lumberyard and Interior design showroom that has been providing quality building materials to builders and remodelers...and their customers... in Central Minnesota since 1889.We have a 15,000 square foot showroom full of the latest to offer in home building products. TriLite Stone Company is a manufacturer of beautiful stone veneer. We have been in business since 1990 and are unique in that we integrate the color of the stone all they way through. This ensure durable beauty for years to come. With 13 styles and over 40 color variations, you are bound to find the perfect stone for your interior or exterior project. The Mission of Milaca Building Center is to provide superior service in supplying building materials to our customers while maintaining the highest ethical standards. We will accomplish this by: *Treating our customers with the same respect, honesty, integrity and professionalism that we would want to be treated. *Knowing that our customers deserve our best service and doing what it takes to deliver. Since 1932, we have prided ourselves on “Building Relationships with Hometown Service”. Our company has been in business for over 75 years. Milaca Building Center is widely known for our quality inventory of common and not so common lumber products. We buy our lumber from the highest quality mills to assure our customers that we will provide them with the finest products from the forest. Quality lumber and plywood products alone has not brought Milaca Building Center the generations of success that we have experienced. Our sales, support and yard staff includes knowledgeable, professional individuals with many years experience in our industry and we are committed to customer service. Wells Concrete provides architectural and structural precast products for commercial construction projects across the upper Midwest. Our superior products lead the industry in quality and client satisfaction through the collaboration of experienced team members and strong relationships with project partners. With four plants in Wells, MN; Albany, MN; Maple Grove, MN; and Grand Forks, ND Wells Concrete collaborates with project teams to provide owners with a structural system the best serves their business need. With the greatest production efficiency in total precast structures Wells Concrete provides a full suite of products including columns, beams, double tee roof and wall panels, insulated architectural wall panels, hollowcore plank, spandrel panels, stairs, and stadia. Find lumber and building supplies on Houzz. Narrow your search for Saint Anthony, MN lumber supplies and building supplies by selecting the nearest city or zip code. Find trusted lumber companies and hardware suppliers with reviews from residential builders, interior designers and homeowners.